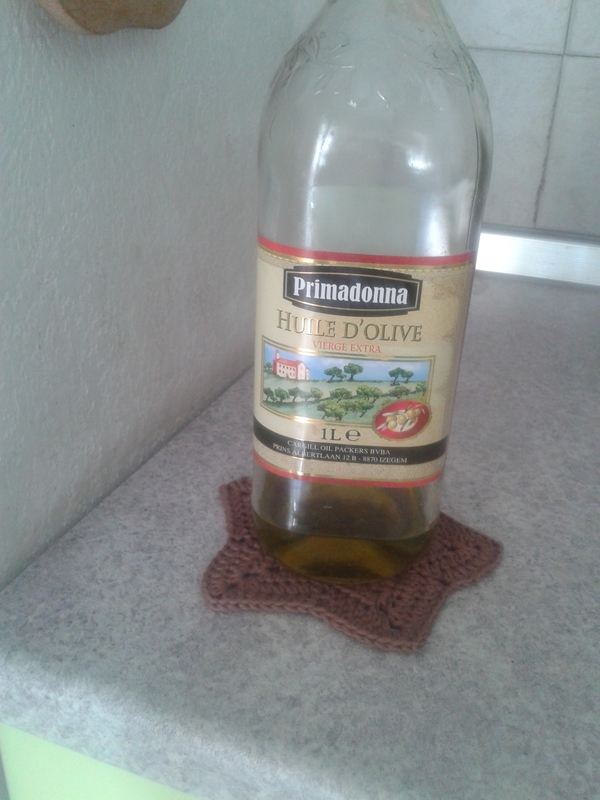 I use olive oil a lot for cooking, and the bottle always leaves oil marks on the counter. I tried using paper towels, but they are ugly and messy. So I made this. 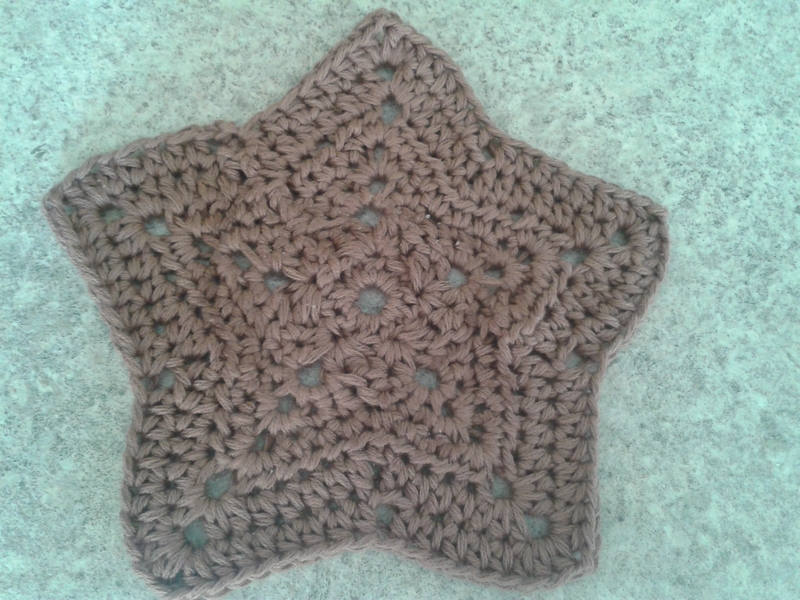 I guess I’ll need a few more to rotate and wash. Great pattern. Separator image Posted in My kniting & crochet and tagged with coaster, crochet.